fifteen-year-old Cass and seventeen-year-old Emma. Three years later, Cass returns, without her sister Emma. Her story is one of kidnapping and betrayal, of a mysterious island where the two were held. But to forensic psychiatrist Dr. Abby Winter, something doesn't add up. Looking deep within this dysfunctional family Dr. Winter uncovers a life where boundaries were violated and a narcissistic parent held sway. And where one sister's return might just be the beginning of the crime. Wendy Walker impressed me with her debut novel and so I was looking forward to where she'd go next because of her great writing and ability to twist things. 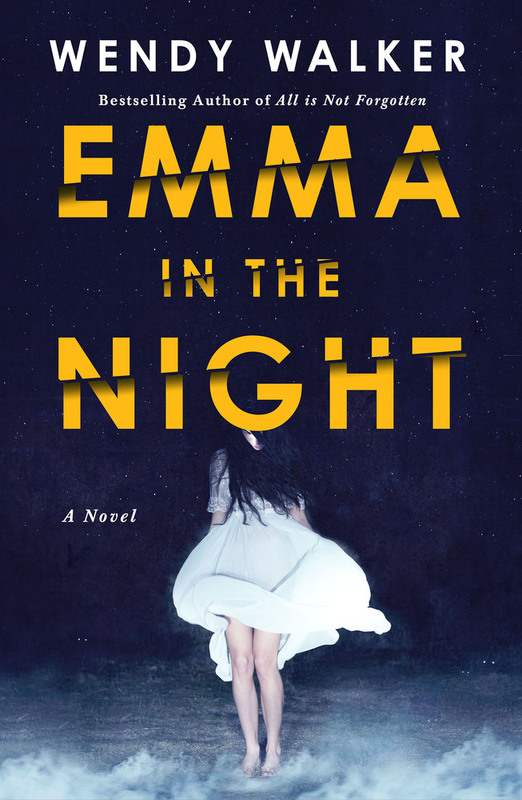 And While Emma in the Night certainly had an intense and stirring vibe, it didn't quite deliver the punch I was seeking from the author. My issues began instantly with my inability to connect with Cass or Abby. The intriguing doctor aside, I never trusted Cass from the moment she returned home. Also, I feel like the story would have impacted me more if I could have experienced some of the things while they were happening, instead of just taking Cass' word for it as she's recollecting the horror of her mother and the kind of house she and her sister were growing up in. I know that might have extended the story somewhat, but I would have liked a little more of "in the moment" emotions from the sisters. Also, it wasn't too hard to detect what was really going on. Cass was giving these precise details about the island and about her sister that had me suspecting her from the beginning, especially when it came to tales about Emma. As a matter of fact, I wish Cass had taken a different route so that the mother would have received what she truly deserved. But I guess we wouldn't have found out about Emma and I understand to an extent why she did what she had to do. Back to Dr. Abby Winter. It was clear that the forensic psychiatrist had dealt with her own horrors and could relate to Cass in regards to having a narcissistic parent. Throughout the story, she was quick to make connections to certain behavior and I found it interesting that Cass had easily detected the similarity between them, hoping that Abby would not only believe in her but would figure things out. That aspect of the story was quite interesting to read. There's not much else I can write without giving away the whole story, but I do want to mention that when disheartening details about the family was being revealed by Cass, I realized that dysfunctional didn't quite sum it up. The mother was...I don't even have the right word to describe her. She definitely had problems and required serious professional help, but the girls' father was just as bad. The only genuine and stable person in the sisters' lives was their older brother, Witt. While I doubted the intentions of every other character in the story, his kind nature was the most convincing and it's a relief that at least Cass had his love and support to move forward. To conclude, Emma in the Night has good writing and an overall premise that may shake you. But as I've mentioned before, I would have loved to be in the scenes as certain events were taking place, just to feel the emotions of the characters, instead of being told about what happened over and over. Still, it's an interesting psychological novel. 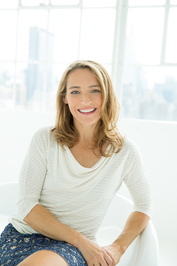 Wendy Walker is a former family law attorney in Fairfield County, Connecticut who began writing while at home raising her three sons. She published two novels with St. Martin’s Press and edited multiple compilations for the Chicken Soup for the Soul series before writing her debut psychological thriller, All is Not Forgotten. Wendy is currently writing her third thriller while managing a busy household. Ah no I'm sorry this was disappointing :( I've been looking forward to it cause I LOVE psychological thrillers, but I'd also hate having the emotions just told to me, instead of showing them. Still pick it up. You may like the story more and may not mind the things I had an issue with. Thanks for your honest thoughts! I'm sorry this wasn't as great as you were hoping, but sounds intriguing in parts! I know what you mean about experiencing situations, rather than being told... it irritates me too.